For all you Austen-lovers out there here's a fun, quick read that is guaranteed to leave you with a smile. 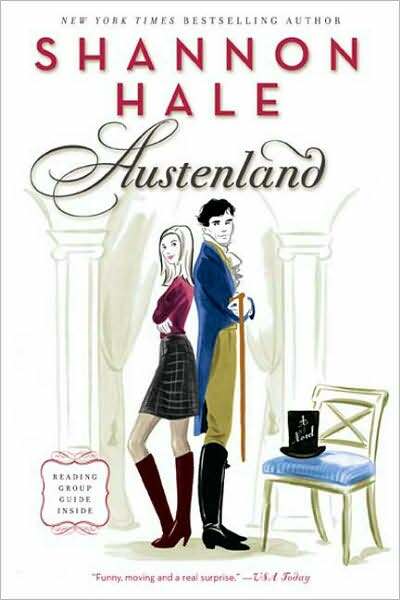 In Austenland, Hale introduces readers to thirty-something Jane who cannot find her very own Mr. Darcy. Jane knows that Darcy is not a real man, but Jane cannot help waiting for her dream man. Then she inherits a dream vacation from an elderly great-aunt which sends her to England and straight into the ultimate Austen fantasy. Can fantasy become reality? Read to find out! Fast-paced and witty, Hale has given readers a strong, intelligent heroine who refuses to settle for less than true love.